In this SEO info. blog, we will have a clear definition of what is guest posting in SEO, how to do guest posting, guest posting service, guest blogging opportunities and guest posting site list. If you are a new blogger and if you want to increase the popularity of your blog then this topic is very useful for you so read this article up to last to get benefits for Guest Posting. To rank a newly started blog in Search Engine Result Page is a very difficult and lengthy task, you can use different Optimization techniques and tricks like Meta Tag Optimization, Keyword Research, Internal Link Building, Social Media Sharing, and many more. But you may not get the better result faster with these On-Page and Off-Page optimizations. Then if you want the fastest method to get the better result in SEO then Guest Posting may help you more. Guest Posting or Guest Blogging means promoting yourself on the web as a blogger. Guest Blogging in SEO refers to the creation of blog post for other blogger or contributing to another blogger by publishing an article as a guest. 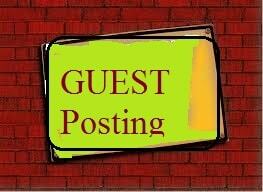 Guest posting is putting an article or content onto others blog which is of the same field as yours. Furthermore, Guest posting means to show and describe your article as a guest contributor and explore your own business on others resource. The Beneficial advantage of Guest posting is you can build a good relationship with other popular blogger and their users. New bloggers can boost up their blog visibility among user on the web by building a relationship. You can get more social media followers which may increase the rate of your social media shares and social media traffic. It will expand your Personal Network on the web. When you contribute an article on a website then it's visitors will comment on your post and you may get the best feedback and it will increase interaction with the post visitor. The owner of the website allows it's guest poster to add a link to their own blog post. 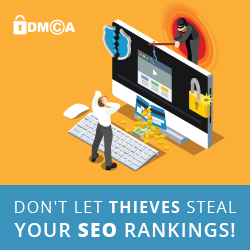 This benefits you to get High-Quality backlinks since your website will be linked to another website. In the Guest posting, you can put your own post link into some anchor text (your keyword) and if any of the visitors click on that anchor text then you will get backlink as well as it will be easier to rank your site for the specific keyword. While Guest posting, you may get acknowledgment and feedback from website owner and visitors. Here you will get the chance to know the mistakes in your content and way of writing perfectly written content. With this benefit, your content writing skill will be more improved and you may become the best content writer. When a contributor request for Guest Posting to website owner with his article then website owner will check and evaluate the submitted article (Keywords, Image, spelling). 1. First of all, choose a blog for a post contribution as a guest. While choosing a blog, choose one for which you are a regular visitor, a regular commenter since you are more familiar with that blog owner. So that your Guest Post will get approval easily and fastly. 2. Target your Unique Guest post for Guest blogging. 3. Contact the website owner with email and write an attractive Guest posting request letter with your skill, profession, and include your published article or book. 4. Refer your own blog's post link with your targeted keyword on Guest Post for the backlink and keyword ranking. Where To submit Guest Post? 1. Easy Articles - Article Syndication is a free article distributor by easyMedia Network.com. Easy articles provide free article submission, article distribution, content optimization tips, and the most popular article related to the different topic. 2. sooperarticles.com is a biggest famous article sharing platform on the web where each and every article get reach to their visitors. sooperaticles.com provides a platform to Guest poster to share their own ideas, skills in its community. Create beautiful attractive content to attract traffic and backlinks to your site. 3. Articlesxpert.com: To get the approval of submitted Guest post, your article summary must have over 500 characters length. You are allowed to put only 2 hyperlinks on your Author Bio. You can add as many relevant keywords for your article and unrelated keywords may be removed by Admin. All the contact information are allowed to include in Author Bio only. 4. Apsense.com is a famous web 2.0 enabled social network and is specially designed to help the online digital marketers to share their ideas and skills as a guest or a contributor. It connects your business or personal network with other. 5. TechGadgets: Technology category Guest Posting site of DA 97 which allows you for more exposure and for credibility. TechGadgets is the biggest opportunity to build a reputation which leads to increase more traffic on your site. 6. eLearn Magazine is an education, reviews category site with DA 92 which is for Guest posting on computer science and computing machinery, e-learning. 7. ShoutMeLoud: Award winner blog with 735+ bloggers who have contributed their posts on ShoutMeLoud as a guest. Since it is a popular blog on the web with 9,78000+ subscribers, so ShoutMeLoud will provide a big chance to expose your network with more followers. But remember ShoutMeLoud only accept those guest posts with Quality content(800+ words), credit should be included for images or any kind of links, screenshot+video, self-promotion since ShoutMeLoud do not allow backlinks. ShoutMeLoud says that "Contributors should give the response to every comment on their Guest Post". It is useful to know about guest post but I would like to know where and on which sites we can write our guest post.kindly provide the list of such sites.